Mini Hoopla - Gaming Hoopla - Gaming for a good cause! As the Gaming Hoopla grew we were forced to sacrifice our fall Hoopla in order to give you the best experience possible once a year. Well, we couldn't bear to go a whole year without seeing all our Hoopla friends, so the Mini-Hoopla was (re)born! much planning, leaving us time to make the full Gaming Hoopla awesome! Because of the limited space, we HIGHLY recommend people preregister. Registration is now open on Tabletop.Events! 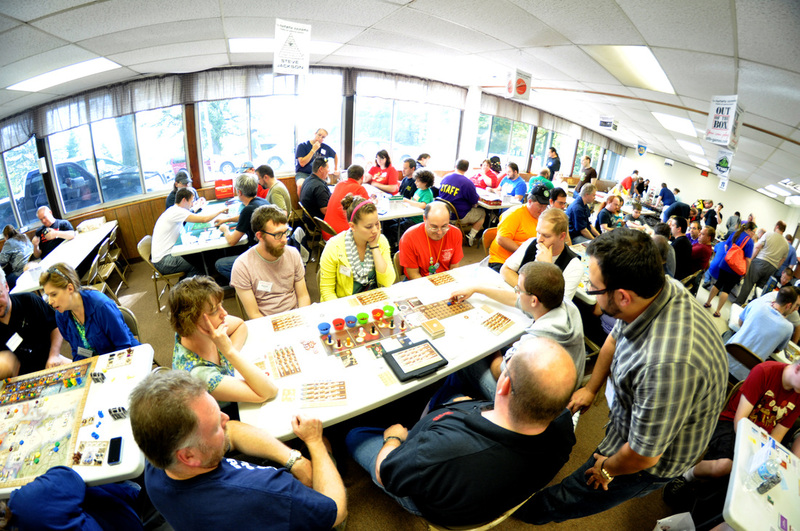 The Mini-Hoopla is a mix of open gaming and "scheduled" events. Attendees are welcome to add events on Tabletop.Events, but those events will not be approved or curated by Hoopla staff. There is no library at the Mini, so be sure to bring games you want to play, or be ready to jump in on games with others. There is not a full kitchen, but carry-in food and drink is allowed. We will have a small concession type kitchen with snacks, and will be organizing some way of getting a dinner option to the Hoopla each evening, either by getting a delivery and selling portions, or organizing a way to order and have food delivered as a group. There won't be an auction or raffle, but we will have door prizes! Our Mini-Hoopla will be held at the Johnstown Community Center. Many of you know this as one of our previous venues. The community center is located about 15 minutes outside of downtown Janesville.